He presents complex concepts simply and with an action-focus. His extensive knowledge of leadership, organizational development and professional growth make him a sought-after speaker for audiences of executives, professionals and entrepreneurs. When Kim is in front of your people, they are guaranteed a new way of thinking about something and a tool to put it into action immediately. 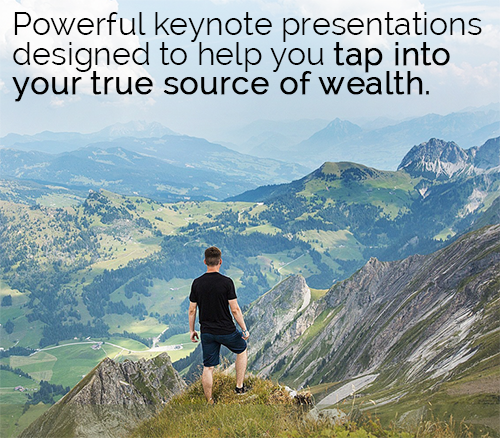 With over 20 years of experience in professional and business effectiveness, leadership and entrepreneurship, Kim Sawyer delivers powerful keynote presentations designed to help executives, managers and entrepreneurs tap into their true source of wealth. 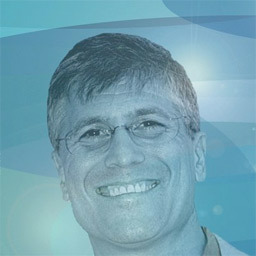 Drawing on his success as an Executive Coach, he teaches individuals and teams to increase profit, win promotions, align individual and company values and strategy, and accelerate the ramp-up to peak performance. Kim holds a BBA in Entrepreneurship from the University of Houston and an MS in Organizational Development and Change Management from the University of Texas. He has been published and interviewed in the Houston Chronicle and other news publications, appeared on CNN Business Radio and speaks frequently to professional and industry organizations across the country. more than just having a positive attitude. next level of their success. process of achieving big ones. Every choice in life is an investment decision, and every investment is about value. Wealth is accumulated value – in all forms. You are always choosing to spend your resources (time, money, love, energy, thought, etc) on one thing rather than others. Every “yes” speaks a thousand “no’s.” Gain true understanding of value and wealth so you can spend your resources on the most valuable things in your life. What smart business person thinks they could start or run a successful enterprise without a plan? If a Business Plan is a must, then why not start with a Life Plan? Which is more important in the end, your life or your business? Learn a proven method to construct a Life Plan to guide you in planning all your other endeavors. Coaching – a powerful component of successful leadership – is truly your lever to consistently evoke the very best from your people. Learn what coaching is, and how to build effective coaching relationships with your team. How many things go unsaid, and at what cost, because people shy away from the discomfort of confronting sensitive issues? Is confrontation necessarily conflict? Does it have to be painful? Discover a valuable communications process called Clearing, to resolve uncomfortable issues that need to be dealt with. Learn to use 5-Step Communication, a powerful tool to minimize discomfort and maximize success. The Business of Your Career: Are you running your career or is it running you!!? Do you have a vision, a strategy and an action plan for a successful career? Why not? Learn how to run your career as you would manage a business enterprise. Discover a deeper meaning and more powerful approach to successful career development. Social Capital can be your most important asset, the greatest source of life-long value we can access. Yet who among consistently invests our time, energy, and money in building Social Capital? Learn about the powerful returns you can achieve by adding this asset to your life portfolio. Every successful business has a mission statement. What is Your Personal Mission Statement? Learn the power and value of a personal and professional mission in life. Find out how to discover it, articulate it and build a rich and effective life around it. What if there was a flaw in the Golden Rule? What if it overlooked a vital fact – one that has become far more compelling in recent history that it was when the Golden Rule was first said? Learn the change that has happened in our world that has created situations where the Golden Rule breaks down and when following it actually causes problems. Learn to do unto others as THEY WANT to be done unto. Fear is your friend. Like all emotions, fear has many faces – some are healthy and some are toxic expressions. When denied or resisted, fear becomes debilitating, But when you embrace it and properly channel fear, it becomes a powerful co-pilot on the journey to success. Discover new ideas and techniques build that friendship. How can you change and influence others by not trying to change and influence them? How can you powerfully impact the world without resorting to the generally accepted tools of power – authority, money, military strength, politics, technology or expertise? Explore a whole new paradigm of leadership. The answers are far simpler, yet far more challenging than you might think. Do you manage your emotions or do they manage you? More than any other single element of the human mind, emotions have tremendous impact on everything in your life, from your perceptions and judgments to your decisions and relationships. Learn what Emotional Intelligence is, and discover the steps to developing it. Business people and teams respond to problems in various ways. At their worst, some run from them and work hard to rationalize that to themselves and others. Most face the problem and attempt actions they believe will solve it and repair any damage. A few exceptional leaders respond to problems in a third way, using a single, unique approach that gives back the greatest possible value. You have too much on your plate. You are constantly watching over your employees, making decisions and putting out fires. Meanwhile, you never get around to the really important things – things that only you can do and that create the greatest value. You’ve tried handing things over, but they don’t get done right, and you spend more time checking on them than it takes to do them yourself. What can you do? Learn how to delegate in a way that really works and rescue yourself from this all-too-common trap. Not many people, when they are promoted, get the coaching and training they need to manage effectively. And even good managers often don’t do things that you really need them to do in order to give your best performance. What can you do in these cases? Learn how to respectfully and strategically “manage up” in ways that will benefit you and your boss.